What’s good? These are a reasonably priced pair of waterproof summer gloves. I am a person who gets sweaty hands when they get too hot, and there’s nothing worse than trying to get your glove off in a petrol station and pulling out half the lining, then spending the next half an hour trying to put the fingers back in. Luckily, the RST’s lining stays firmly in place at all times. he armour is not over the top with Knox’s SPS (Scaphoid Protection System) and hard knuckle protection, plus a mixture of cowhide and kangaroo protecting the palm. The cuff goes neatly over most jackets, but can also be tightened to go under if you prefer. I have worn these most days throughout the year and it is only on those really cold days that fingers begin to feel the chill, especially if you’re out for prolonged periods. What’s not? The glove will begin to soak up the water within an hour of riding in wet conditions, but this side to its performance can be improved with an application of a waterproof product such as NikWax. 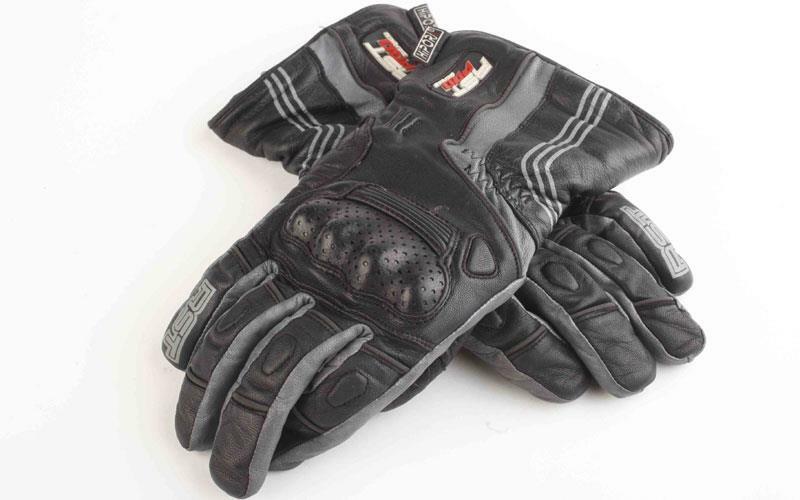 There’s no denying that race gloves look ace and offer great protection in the event of an accident.